Two people in less than one week were killed while crossing in front of the Brightline train in South Florida, as reported by USA Today. The first casualty was a Boynton Beach woman who drove her car through the already dropped guard rails in an attempt to beat the train. The second was a cyclist who allegedly went under the guard rails to beat the train as well. Before both of those incidents, an Ohio woman drove her car in front of an oncoming freight train in Daytona Beach. She was also killed. Since Brightline began limited passenger services in the summer of 2017, four people have been killed by the high speed passenger trains. Just recently, Brightline began service from Fort Lauderdale to West Palm Beach, and issued the statement, “Local authorities are on the scene, and we are engaged with them as they begin their investigation. Safety is Brightline’s highest priority, which is evident from the numerous additional infrastructure improvements that have been installed along the FEC Railway corridor to the educational and awareness campaigns currently underway.” A Spokesperson further underlined the company’s concern of education and enforcement, asking the public to obey traffic rules and laws. Including the four Brightline deaths and the fatal freight train incident, there have been 17 fatalities in total within the past 12 months on the Florida East Coast Railway, and a total of 74 in the past five years. Did the railway guard come down properly and in time? Was the speed of the train exceeding local limits? Was there negligence in maintaining infrastructure designed to prevent collisions? In some rare cases, there may have been a lack in safety infrastructure, shown by an unusually high number of collisions at one railroad/road intersection. 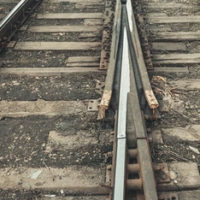 Typically, it is only in cases where the railroad knew about and failed to correct hazardous conditions, and failed to take preventative actions before a victim or victim’s family may recover compensation. For example, if a rail crossing guard was deploying properly, but the crossing was at a confusing intersection or around a blind bend, changes to the crossing may have been necessary to prevent further incidents. Railway collisions are mostly caused by negligent drivers, not negligent infrastructure or train operators. However, this is not always the case. If you have been injured or lost a loved one, your case needs to be investigated by an experienced West Palm Beach lawyer with the Celeste Law Firm today.